People who want to marry romantic, make a good choice with a hotel or restaurant near or on the water. There are various locations that are in the immediate vicinity of a river or lake in Bavaria. 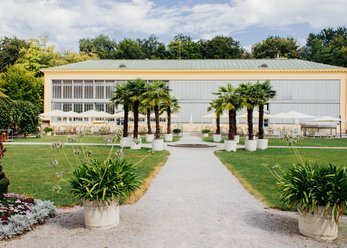 The following list shows the premises in and around Munich and whole Bavaria, which are suitable for a literally intoxicating wedding celebration. A unique location in the Green, 50 km south of Munich. Exclusively for your event. 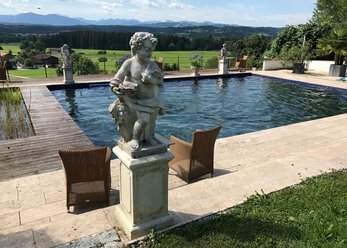 From the pool you have a fantastic views of the mountains and close to a small river flows. The farmstead itself is equipped with modern and consists of two houses with seminar room. Corporate event, wedding, or other events. Determine the course with our ships on the Danube and the altmühl Valley. Single decks or as complete boat can be rented. Many specials such as menu, Fireworks, decoration and more can also be booked. 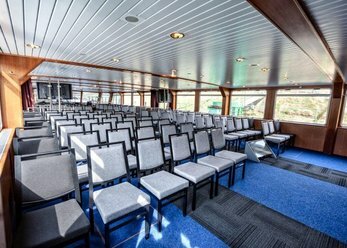 Experience a special flair on board the "Siebnerin"! The wooden ship is a true multi-talent and provides up to 150 persons, you can experience events varied manner in a historical ambience. A ship for all cases! 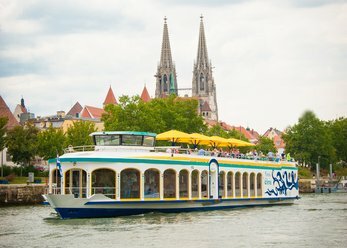 Spend an unforgettable time to water on Board on the lower deck or sun deck and experience Regensburg and environment from a perspective of a special kind. Many bridal couples dreaming of a magical wedding in a picturesque environment. It recommended in particular places in the midst of beautiful nature. Some want to celebrate in the mountains, the other pulls it more on the water. Wedding locations appear calm and wild rivers or lakes at the same time - the ideal mix for the entrance to the harbour of marriage and everything else then waits for the lovers. Hotel, restaurant, or specific event location: there are different rooms that allow to marry to the water. 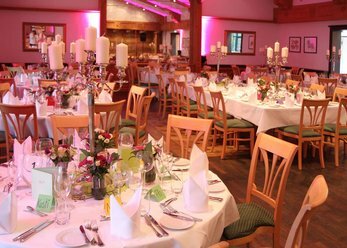 Bavaria is the perfect region for a lavish wedding party. Southern of Germany is home to numerous places that are situated on a river or Lake. The river ISAR attracts in the fascinating city of Munich. 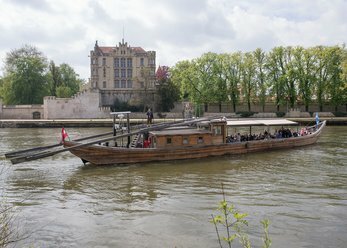 You flows through the municipal area in approximately 14 kilometers and happens for example the Maxi Milan plant and the ISAR Flößer - two significant sights of the metropolis. Bavaria's most popular Lakes include Lake Starnberg, the Chiemsee, the Tegernsee Lake and Lake Constance. 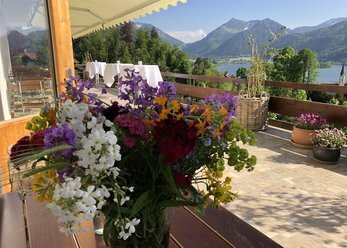 Apart from the impressive views, which gives you a location on the water, you can also romantic boating on Bavaria's most waters or take a boat trip - whether before or after your wedding ceremony. 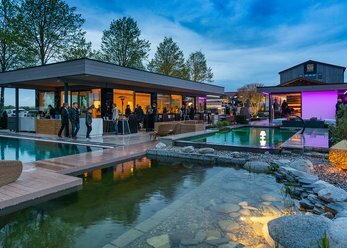 In the choice of the Hochzeitslokalität on the water, the size of premises plays a crucial role. How many people will be doing when you get married? Involve from the outset only places that provide enough space for all of your guests. In the location celebrating to both like to stay, a hotel is ideal. Most providers, you have the possibility to rent the entire hotel for your wedding. In this way, you are together only with your friends and family on your big day. Put importance to the fact that your wedding location includes a catering service, a restaurant is the best solution. In some cases, the Waterfront Hotel has also own or direct-attached restaurant. Furthermore it should be noted the decorating styles of the locations. Whether you prefer modern or more classic rooms: an appropriate location available, for example a hotel or Café stands for every taste. Even regional typical decorated rooms are on offer. Our Portal helps you in your search for a wedding on the water with various filter options. 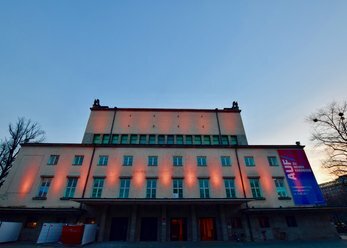 How to find quickly and easily the most corresponding to your taste places in and around Munich. Also, you can discover specific places in the mountains or in the Centre of the city. These come often to get married and also for other festivals celebrating question, for example, for a birthday or a photo shoot. Want to locate, suitable locations for commercial events about, you have us as well the opportunity to do so. Just use our handy search feature!